What are you missing when you look at type? 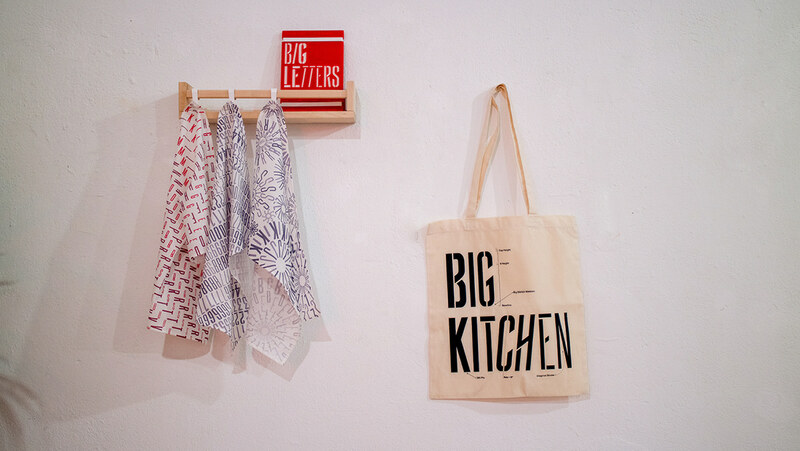 This is the question that gave birth to the “Big Kitchen” exhibition. Through an exhaustive exploration of the BIG type family, we designed an interactive experience that explores type anatomy. 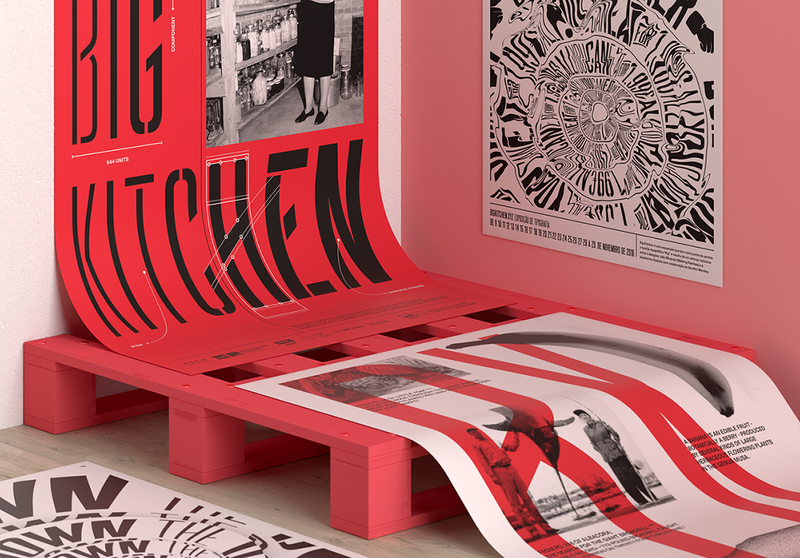 We open the 'kitchen' where typefaces are developed, making it easier for everyone to understand what this craft is about, making use of different graphic production methods and reinterpreting traditional formats to showcase type, such as a poster or a type specimen. 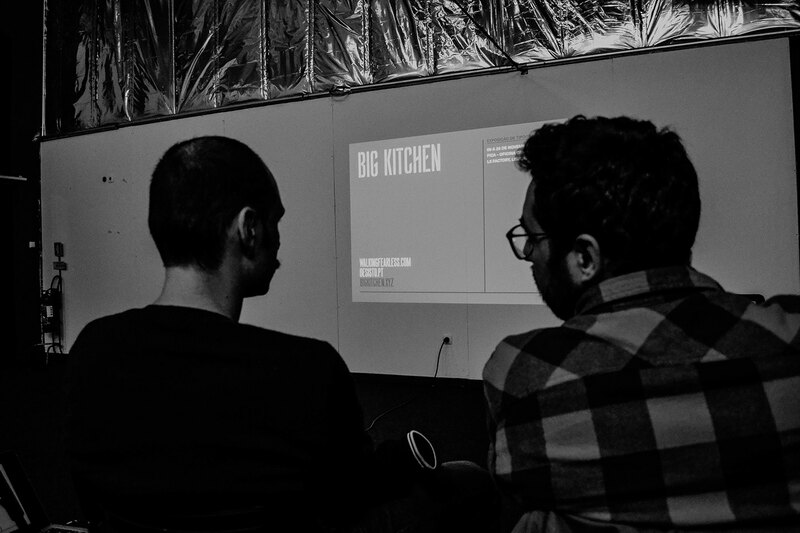 Big Kitchen is a combined effort between the designer João Miranda (Walking Fearless) and the design studio Desisto, with the collaboration of Serafim Mendes in the 3D animation and Augmented Reality pieces. 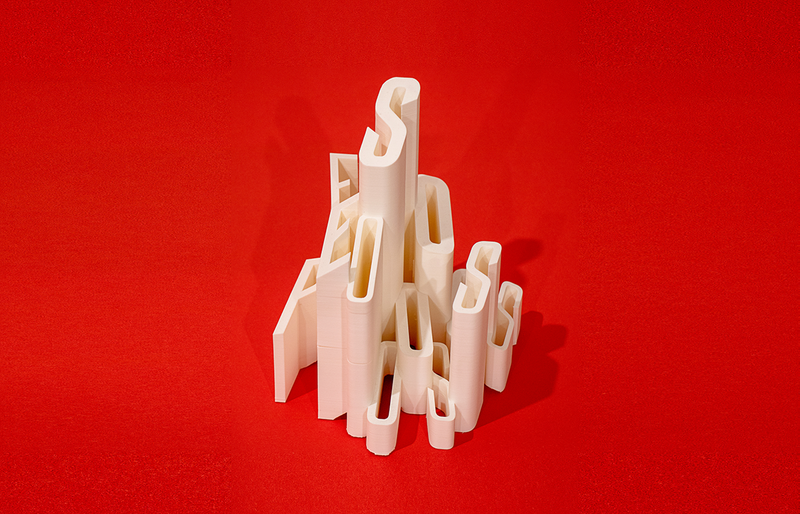 'Pesos' 3D Printed sculpture that makes use of all the weights of the typeface. 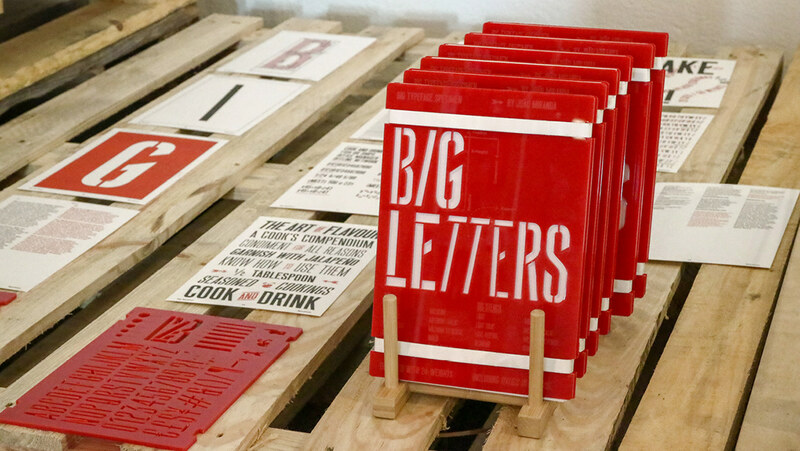 This exhibition is the climax of the development of the type family BIG, whose origin comes from a wooden type found in Andrew Howard studio. 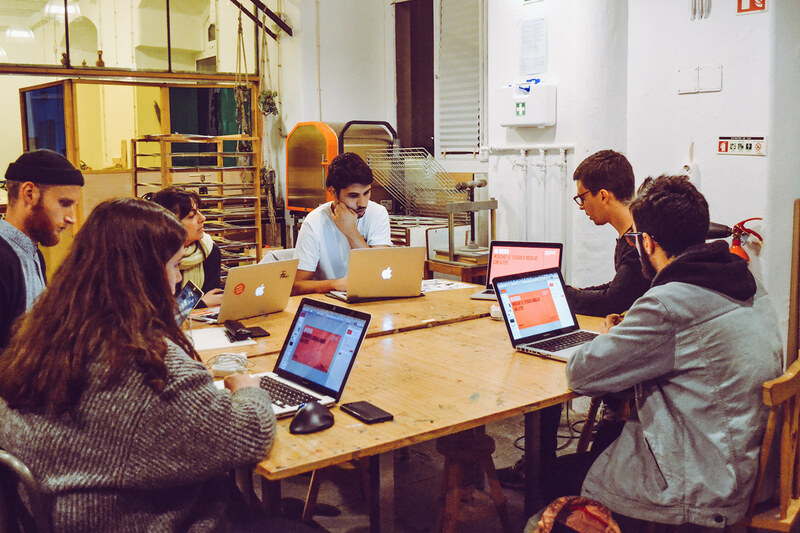 The digitalisation process started 5 years ago with Bruno Rodrigues and it was in 2017 that João Miranda developed a single weight into a family of 24 (including a stencil version). 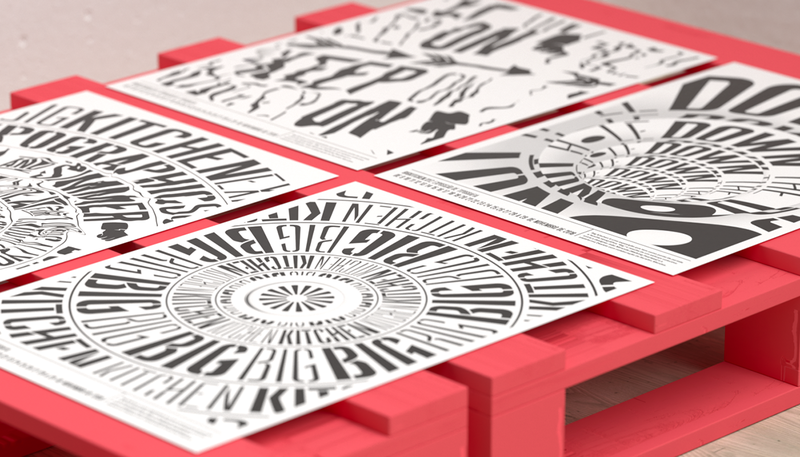 BIG is an elegant condensed display font created for strong and impactful headlines. A wooden type that reassembles the industrial victorian style which has now been expanded to 20 cuts, ranging from Light to Bold, with Italics and a stencil version, covering all your needs for a striking visual effect just with plain type with distinctive features and personality, standing out from the crowded world of display sans serif. 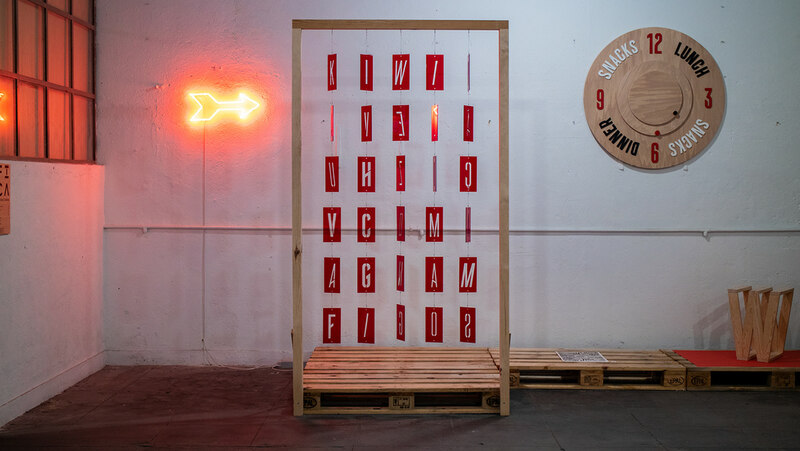 The project approach is defined by the many ways typography interacted with the space and the visitors while making use of varied use of mediums and materials. 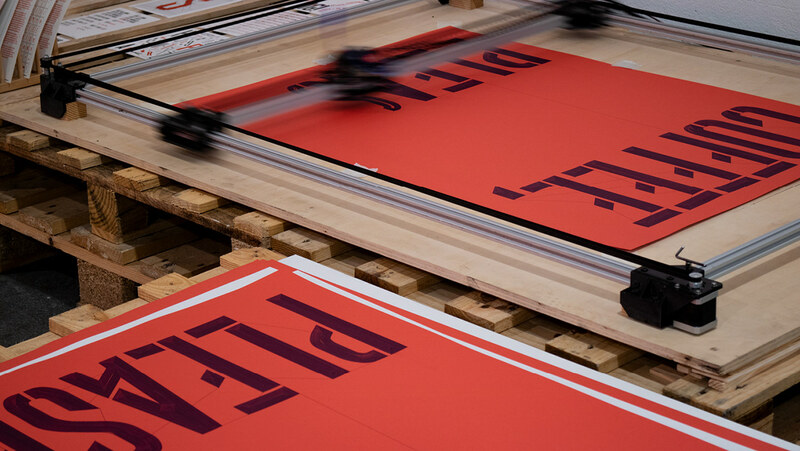 BIG is a typeface that came from wood, making this a central material to be explored in the exhibition. In order to make it richer and diverse we used laser cut and engraved acrylics, 3D printing, pen plotter, neon, RISO, digital and screen printing. 'Potential' is a hard word to evolve into something tangible. 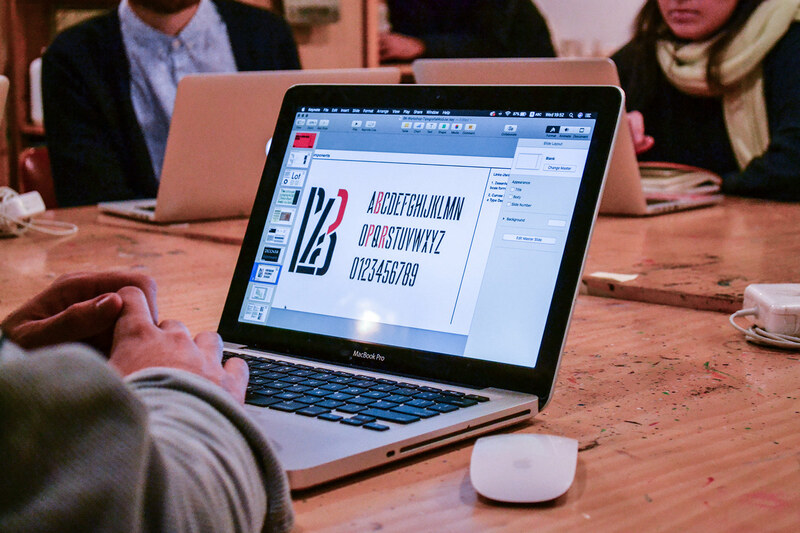 Although BIG has it's quirks and features, a typeface will always have the potential to surprise the type designer by the way it is used and especially the way it can affect public perception through its interactivity. 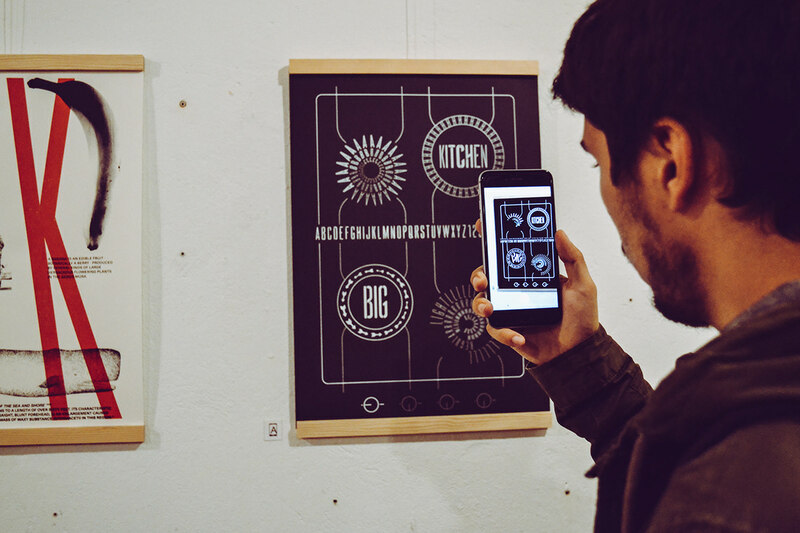 Big Kitchen showcases screen printed posters with Augmented Reality, as well as 100x70cm drawings made with a Pen Plotter. 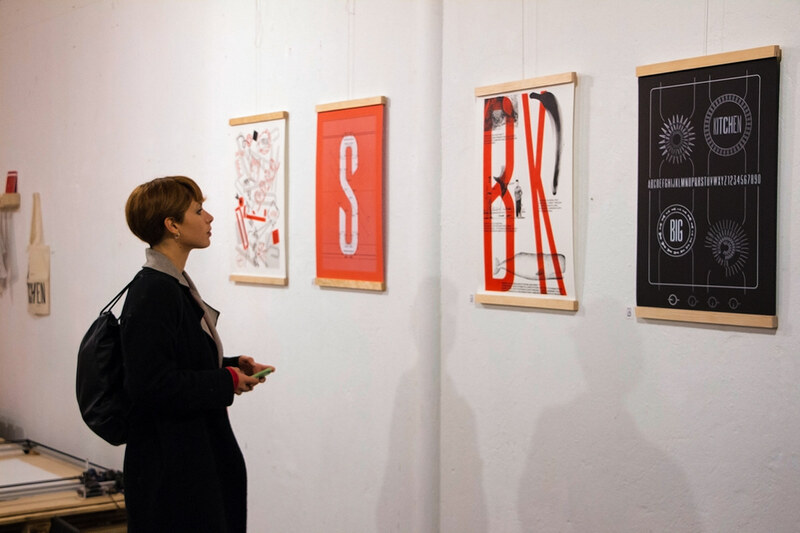 A traditional medium in graphic design with a contemporary approach, these 4 posters showcase the BIG typeface with different animations, shown using a smartphone or tablet. 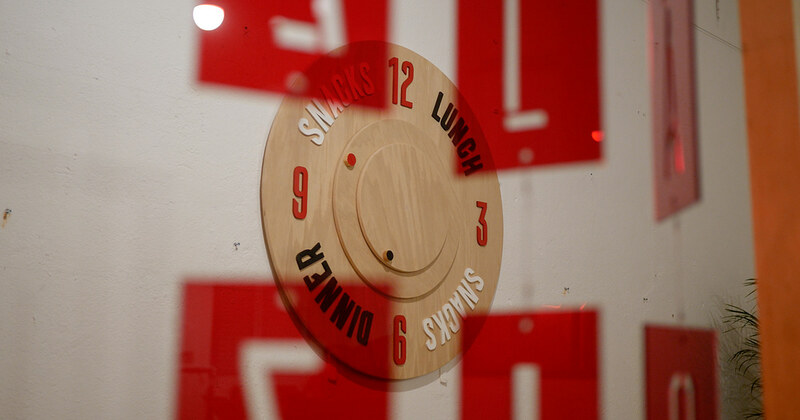 Red, black, white and silver were the colours used in these posters. 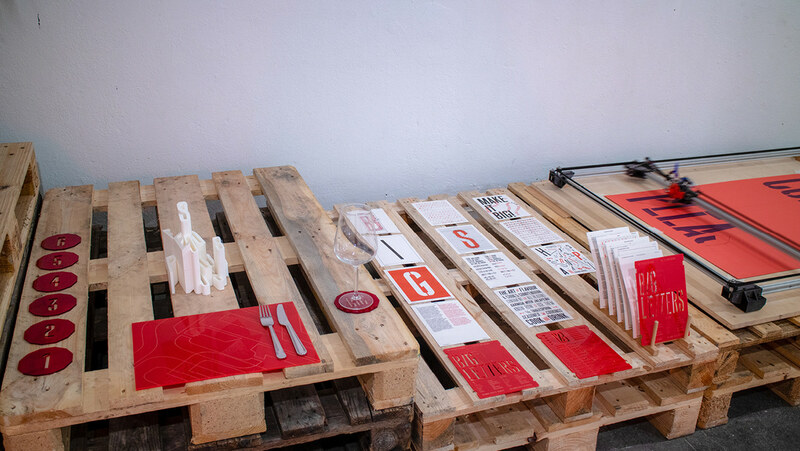 To celebrate this living type specimen we wanted to provide different levels of interaction while providing an opportunity for everyone to take something home. 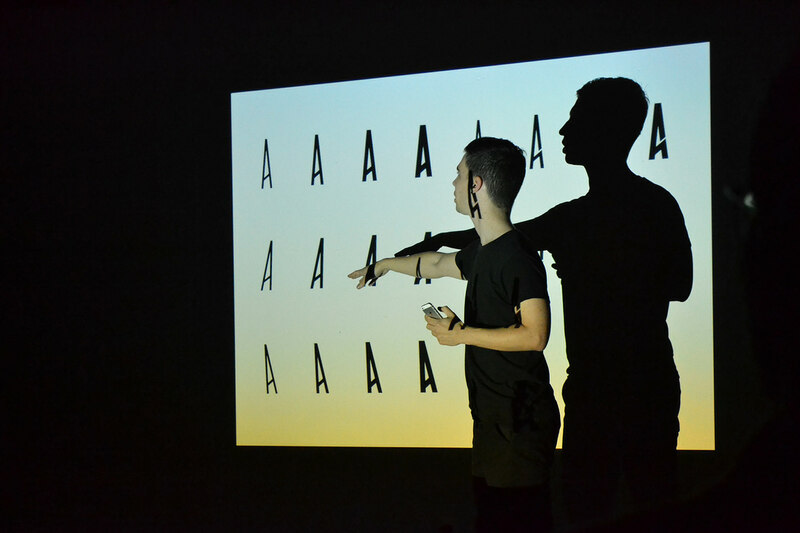 To promote the BIG typeface we developed a website in order to make the most out of the variable font, while also working as an extension of the versatility and flexibility of typographic usage in the exhibition. Animations were developed for each creative involved in the project and they were inspired by their main scope of work. Adobe After Effects is still not ready to make the most out of variable fonts and that makes the animation process very tedious and exhausting. The alternative to make the many type-led posts was using the Drawbot app which allows you to write simple Python scripts. 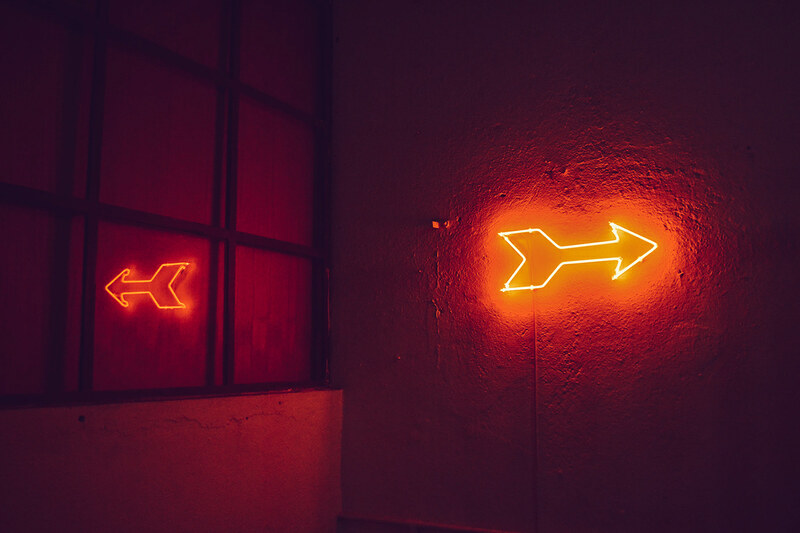 It could be just an exhibition, but we believe that hosting talks and workshops are a great way to create synergies among everyone who is interested in our areas of expertise. 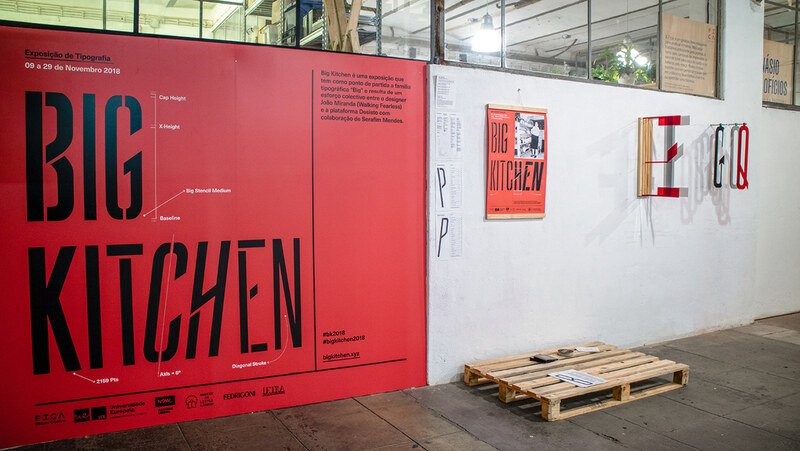 Experiences built in digital, physical and virtual worlds should converge into a coherent body of work and that's how AR and the pen plotter came in very handy in order to make Big Kitchen a unique way of showcasing a living type specimen. In case you have any inquiries about the artworks or would like to see the exhibition in your city just DM João Miranda.